Is it Time to Upgrade the Flooring in Your Olympia Home? You look at your flooring every day, and you feel it on your bare feet when you walk across it. The flooring in your home is directly linked to your comfort and the overall beauty of your home, so if it’s time for an upgrade, flooring is something that cannot be ignored. Modern flooring options are virtually unlimited when you consider the many combinations of materials and colors that may be used in your Olympia home. When you add options like in-floor radiant heat, making informed choices can be a daunting task. So, while you may have a general idea of the type of Olympia flooring you would like in your home or office, an experienced contractor can offer you advice based on years of real-world experience. For example, you may love the rich tones and natural expression of hardwood flooring, but if you own pets this flooring material is prone to scratches and excessive wear. Certain flooring options may require you to completely rebuild your sub floor, which could put a strain on your budget. Mike Winter General Contractor has installed virtually every variety of popular Olympia flooring, including in-floor heating systems and new sub floor construction. Whether you’re simply carpeting your living room or replacing the flooring in your entire home, we will treat your job with the professionalism it demands. Once you’ve found a contractor who you trust, the next step is to work with them to turn your ideas into a reality. This process will help familiarize you with the many varieties of flooring options at your disposal. Are you re-flooring your entire home or just a single room or two? What kind of flooring materials are you considering? Will it be necessary to address your sub floor? Are you installing radiant heat under the new flooring? How difficult will it be to remove the existing flooring? Once you answer these questions, your new flooring ideas will start taking shape. Once you’ve chosen materials then it’s time to determine what colors and design will best suit your existing decor. We will work directly with you throughout this process, so that you can benefit from our extensive experience and make design choices that will lead to total satisfaction. We’ve worked on countless flooring projects in Olympia, so there are few materials we are unfamiliar with. We believe in using quality materials, built to last, and installed by professionals with the experience needed to overcome unforeseen obstacles. • Tile – Tile is one of the oldest and most versatile styles of flooring, and it comes in an infinite variety of shapes, sizes, and colors. Tile is easy to clean and durable, and is especially popular in entryways, foyers, and outdoor areas. • Stone – Like tile, stone is a popular flooring option for areas that receive a lot of traffic. Stone also offers unique textures to living spaces that is unique the flooring material. • Laminate – Laminates are affordable flooring options for many rooms in the home, and come in a wide variety of styles, colors, and designs. • Vinyl – This is an increasingly popular material because of its low cost, durability, and ease to clean. For Olympia homeowners with pets and children who still desire the natural beauty of hardwood, this can be an excellent and affordable choice of flooring. • Recycled – Reclaimed or recycled flooring is popular with Olympia homeowners who want to take a more environmentally friendly approach to their home upgrades. Additionally, many of these materials have a great deal of character that is difficult to find in new flooring products. • Hardwood – For beauty combined with refined elegance, hardwood is hard to beat. Many homeowners are often surprised to learn how affordable hardwood flooring can be. • Synthetic Wood – This type of flooring is made of hardwood veneer affixed to a plywood or wood-composite. It’s more affordable than hardwood flooring without sacrificing any of the beauty. • Click-Together – There are a number of name brand click-together flooring companies, offering a easy-to-install, versatile material that is both affordable and appealing to the eye. • Exotics – Hardwoods like Ipe are becoming popular for home and business owners looking for something a little out of ordinary, yet rich and filled with life. • Carpet – Tried and true, carpet flooring is still one of the most popular in America. • Sub Floors – If your sub floor is uneven or been compromised by water damage or wear, a new sub floor will be necessary to build, which can then have any Olympia flooring you choose installed over it. • Heated Flooring – If you’ve never experienced the comfort and natural warmth of heated flooring, then it may be time to try it out. Radiant in-floor heating is one of those things you will wonder how you ever lived without. • Custom Designs and Patterns – With so many flooring options at your disposal, we can help you find something that will customize your space in a unique and exciting way. 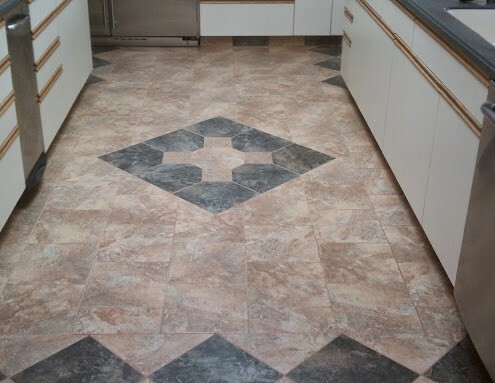 At Mike Winter General Contractor, we are eager to get started on your new flooring project. Call us today at (360) 628-6716 and find out more about how we can bring your flooring ideas to life.